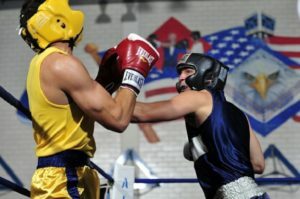 There are as many different kinds of boxing matches to suit an aficionado as there are wines to please a thirsty connoisseur. Some prefer an ebb and flow bout featuring lots of technical skills while others enjoy a primal brawl. A come-from-behind affair is always a pleaser and when it involves the favored aggressor gassing and being taken out, it is a spine-tingler to be sure. Upsets, of course, are near the top of the pleasure index, as are stalk, stun, and kills. And combinations of the above are almost infinite. Boxing also includes one-way beatings; thrashings if you will. Sometimes they are expected (such as many of Joe Louis’s engagements); sometimes they are not expected (such as the first Frazier-Foreman fight) and these, of course, are more compelling because of the rare upset/slaughter combination. This series will tap the memory bank and describe some of these, so shame on me for liking a good thrashing; but shame on you for maybe liking one as well. “It stung to some degree. I was very young, it was hard to read and hear so much negativity. I won the silver medal. I lost the fight on my feet. I didn’t see why everyone felt I was a disgrace. Ferdie Pacheco and folks were giving me no credit. It motivated me. All they can do is talk. In the ring, I determine what the outcome will be.” —Riddick Bowe, From the “Triumph and Tragedy of Riddick Bowe “by Christian Vick. On March 11, 1995, a 241 pound Riddick “Big Daddy” Bowe (35-1) fought a much smaller Herbie Hide (26-0 with 25 KO’s) at the MGM Grand in Las Vegas. 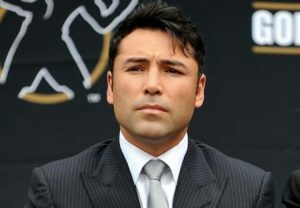 Hide’s WBO Heavyweight title—which he garnered in a near tragic win over Michael Bentt in 1994– was at risk. 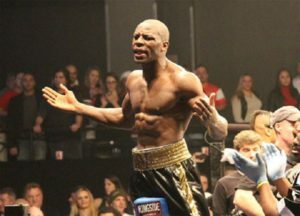 While massive, Bowe’s body showed lack of muscle tone and the effects of bad training habits for which he was notorious. What loomed ahead, however, were two disastrous, ugly, and career-altering bouts with Andrew “The Foul Pole” Golata in 1996. 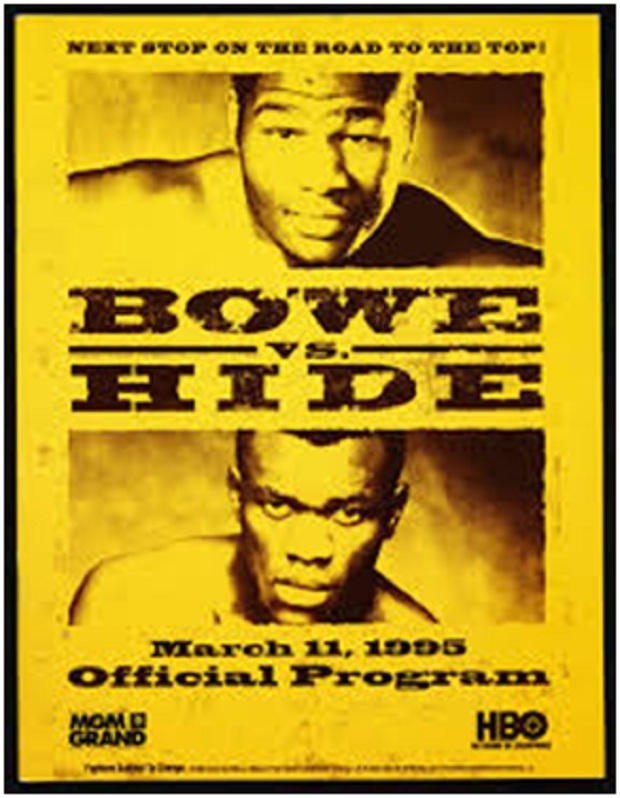 Big Daddy was lethargic in the first round allowing a far more active (but tightly wired) Hide to win it with ease, but Bowe’s expression signaled that he could handle Herbie’s hard shots without flinching. A headbutt in the second round seemed to wake up Bowe a bit, but Riddick did little more than throw stiff jabs to support the 4-1 odds in his favor. Curiously, Hide—known as The Dancing Destroyer “and a Nigerian by birth though raised in Norwich– was bleeding from the mouth going into the third indicating that Bowe’s jabs were taking their toll. He also seemed to be tiring which might have reflected his high degree of tension coming in. Behind 2 rounds to zip, Bowe finally opened up in the third but Hide responded with his own withering shots. Then Bowe floored a suddenly gassing Hide twice. This proved to be the beginning of the slaughter because in realty Hide has gone to the canvas the first time after receiving a short right hand from Bowe. 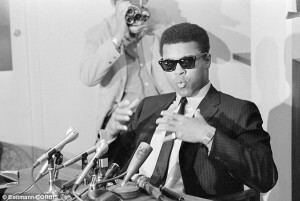 Though Hide was clearly dazed, referee Richard Steele mistakenly ruled it a slip, but when Hide got up, he did not look like man who had just slipped. Hide opened the fourth with renewed energy while Bowe himself slipped and hit the deck after missing a Palookaish haymaker. 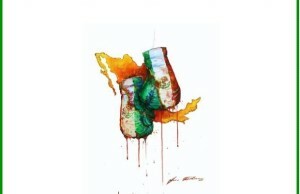 Hide, however, was becoming visibly fatigued setting up a third knockdown. Referee Steele let the fight continue and Bowe promptly pushed “The Dancing Destroyer” down again. Bowe then decked the fatigued Brit for still another time with a short body shot. The game and courageous Hide was now in real danger of getting hurt as round 5 began. A right-left hook combo put him down at the mid-point of the round, but lo and behold, Herbie somehow came back with a series of uppercuts that stopped Big Daddy in his tracks. Herbie may have hurt him but was too fatigued to realize it. Herbie had dedicated the fight to a young brother, Alan (who was suffering from what would become a fatal case of Leukemia). Watching Herbie weep as he hugged Alan after the fight was heart-wrenching. After being upset on cuts by unknown Lithuanian Mindaugas Kulikauskas in 2004, Herbie retired for 30 months but came back in September 2006 to beat unknown and limited Mitch Hicks in the equally unknown boxing locale of Fort Smith, Arkansas. He then ran off 13 more wins to close out his ledger on a high note. His best win during this 14-fight win streak was against Ruediger May (43-5-3) in 2008 for the WBC International Cruiserweight title. Hide finished at 49-4 with an impressive KO percentage of 81. After losing to Vitali Klitschko in 1999, Hide wisely moved down to cruiserweight and in 2007 won the WBC International cruiserweight title. His last professional fight was in 2010. Of course, there is much more to the Herbie Hide and Riddick Bowe stories but it does not belong in The Slaughterhouse.